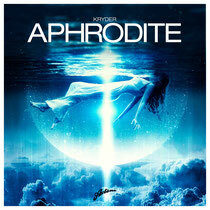 Axtone welcomes another new face to the imprint in Kryder, with his new track ‘Aphrodite’. ‘Aphrodite’ has had an interesting route to release with Kryder almost scrapping the song altogether… fast forward six months later and Swedish House Mafia debuted the single at their ‘Black Tie Rave’ followed by support throughout Miami Music Week from Axwell, Sebastian Ingrosso, Alesso & Thomas Gold, all unbeknownst to Kryder back in Manchester, UK. Snapped up by Axwell, ‘Aphrodite’ soon gained anthem status at Axwell & Sebastian Ingrosso’s Departures event in Ibiza throughout the summer. Since 2011 Kryder has made serious strides in the industry following his ‘K2’ release on Tiesto’s Musical Freedom label, subsequently releasing ‘Vyper’ on CR2 with a further single penned for release on Nicky Romero’s Protocol Recordings. This is not Kryder’s first exchange with Axwell, having remixed (alongside Tom Staar) Swedish House Mafia’s ‘Don’t You Worry Child’. Check it out below, it’s out today.